Touch ID and Face ID on iOS give you a great balance of security and convenience. They’re much more secure than a long password, yet unlikely to be cracked by thieves. 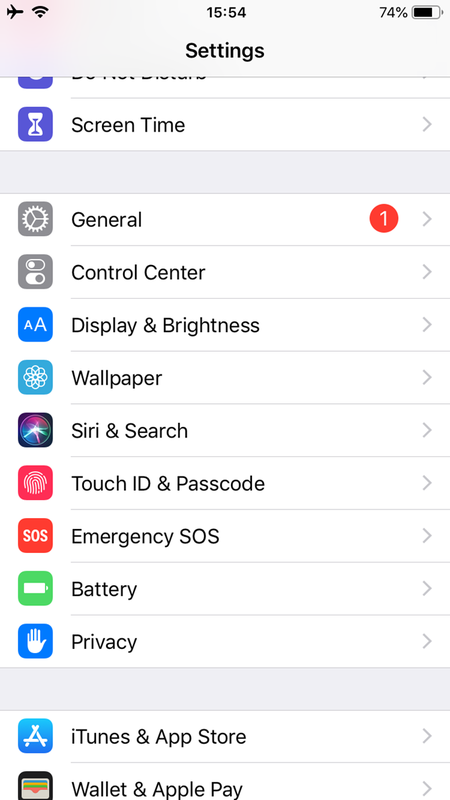 Beyond just locking your screen, though, Touch ID and Face ID can protect all kinds of apps on your iPhone or iPad. Let’s take a look at several such apps you can lock with your fingerprint or face. You might wonder why you would protect apps with your fingerprint or face when you already lock your whole phone. 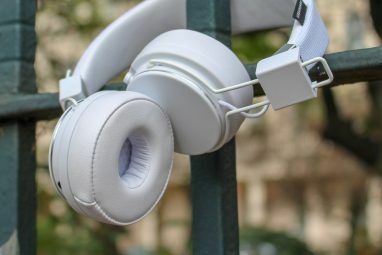 As it turns out, doing so adds an extra layer of protection for your most sensitive information. This is particularly important when you unlock your phone and hand it to someone to use. While you might want to show them pictures or let them play a game, you’d probably rather they not read your WhatsApp chats and poke around in your password manager. It also acts as a safety net if you leave your phone sitting around unlocked and someone grabs it. 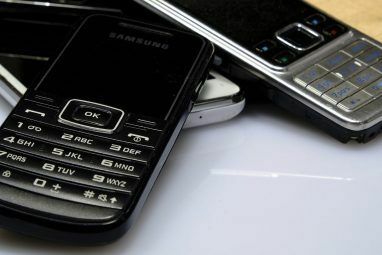 While they’ll have access to your phone, the most important apps on it will remain safe. 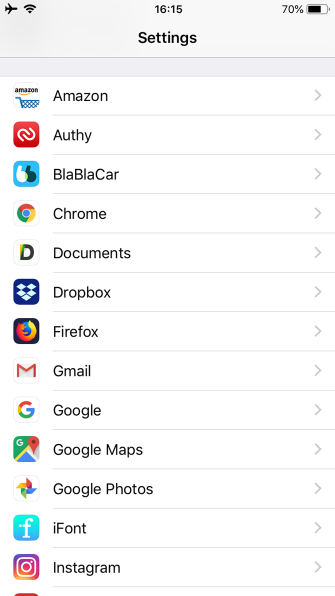 As a final benefit, scanning your fingerprint or face is much more convenient than typing a password to log into these apps every time. Plus, some of them require you to set up a new passcode in addition to Touch/Face ID, adding yet more security. 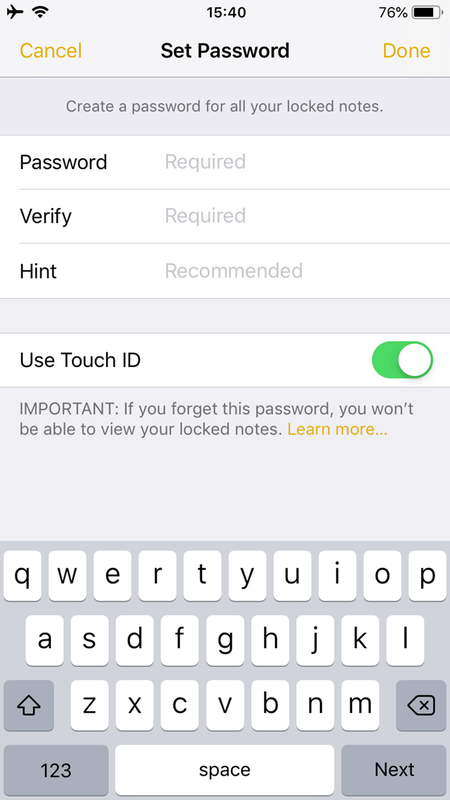 Note: We used an iPhone 6S for these example; thus for simplicity we mostly refer to Touch ID and scanning your fingerprint to log in. However, this works the same with Face ID and scanning your face on the iPhone X and newer. If you use WhatsApp for all your chats, it’s wise to keep it away from prying eyes. Thankfully, you can now do so with your fingerprint or face. Open the app and tap Settings at the bottom of the screen. Here, choose Account > Privacy and scroll down to find Screen Lock. Tap this, then choose to Require Touch/Face ID. You can select how long the app should wait before locking, too. This is just one of the best WhatsApp tricks you should know, by the way. Since your LastPass master password keeps all your other passwords secure, you’ve hopefully made it something quite strong. Instead of typing out this long password every time you want to fill one in elsewhere, protecting it with Touch ID is much more convenient. Sign into LastPass, then tap the Settings tab at the bottom-right of your screen. Select Security, and you’ll see a slider to Use Touch ID. Turn this on. Below, you’ll find some other security options. 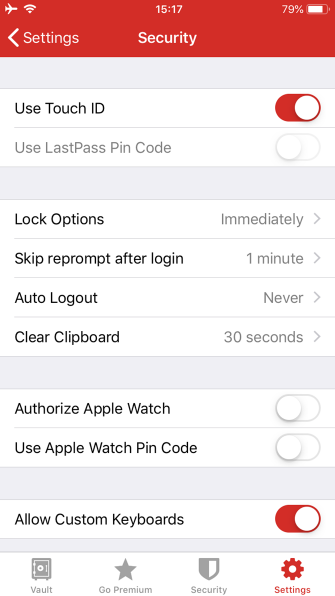 In particular, Lock Options lets you choose how much time is required after leaving the app before it asks for authentication again. 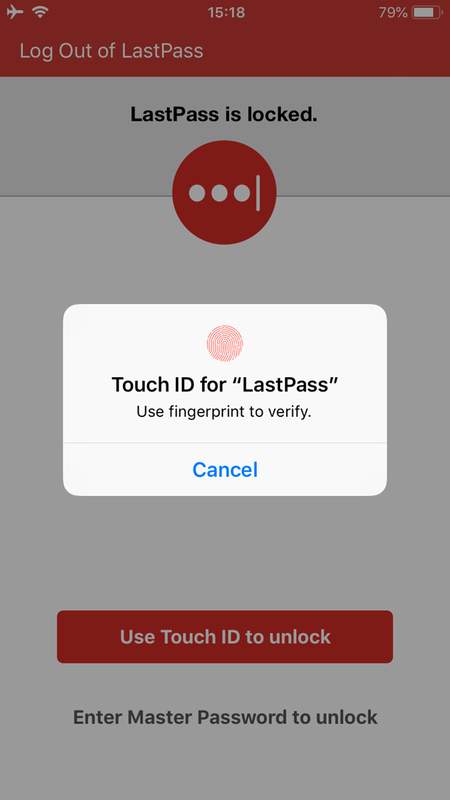 Next time you open LastPass, you can simply scan your finger or face to log in. The app also lets you type your master password if you’d prefer. Don’t use LastPass? 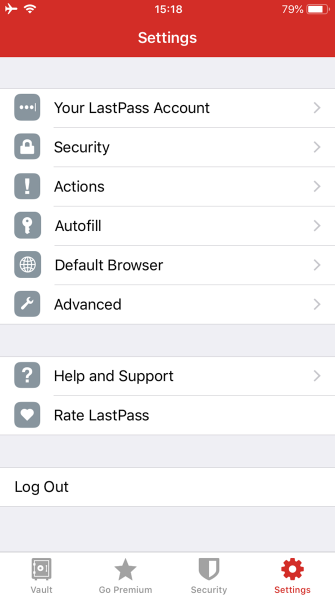 This feature is also available in other password managers, such as 1Password and Dashlane. 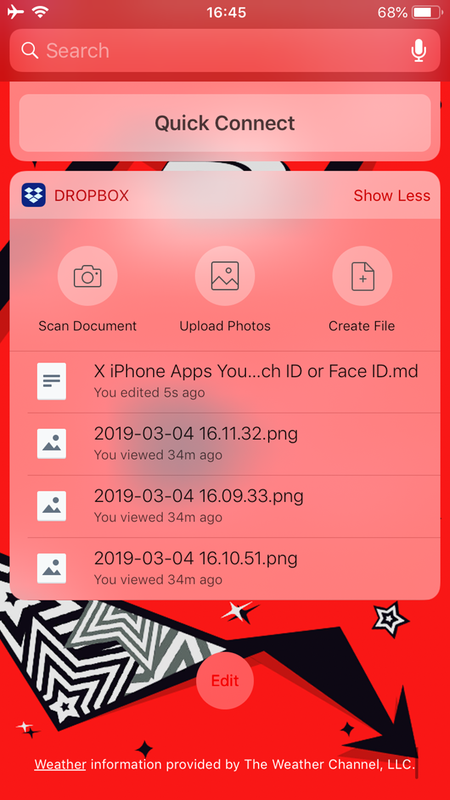 While Dropbox makes it easy to keep files in sync across your devices, you probably have content in it you don’t want just anyone to access. 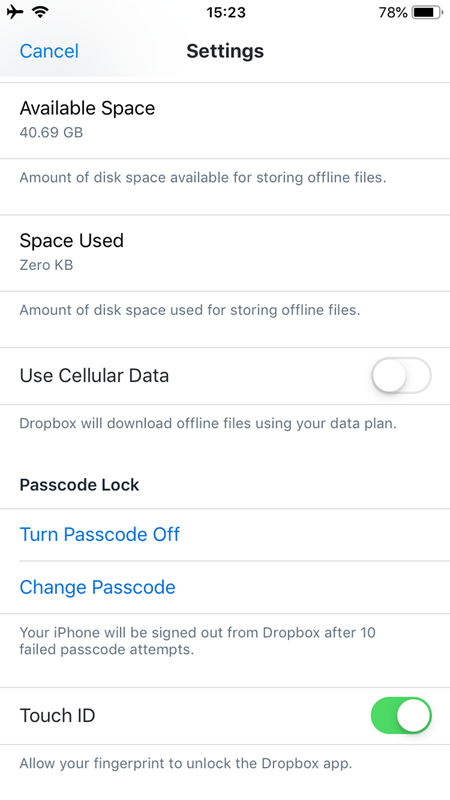 Thankfully, it’s easy to keep Dropbox protected. 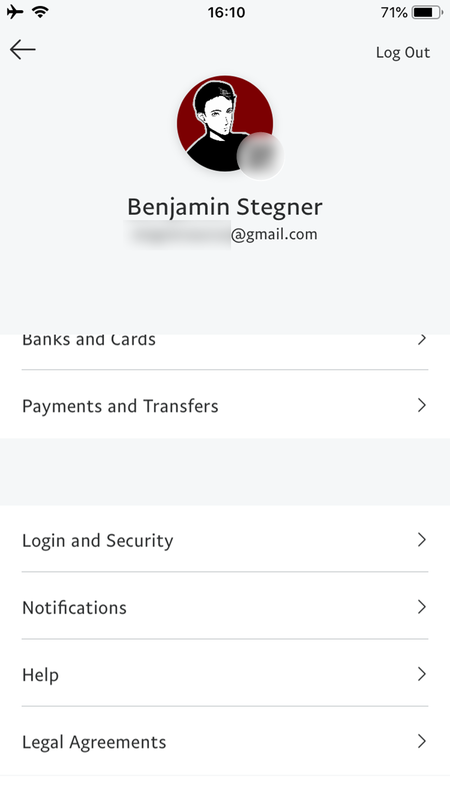 Open the app and jump to the Account tab from the bottom bar. Here, tap the Settings icon in the upper-left corner. Choose to Turn Passcode On and create a new four-digit passcode for Dropbox. Once that’s done, enable the Use Touch ID slider. Now you have to scan your fingerprint or enter your passcode to get into Dropbox. 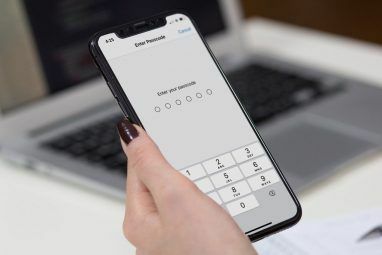 As you hopefully know by now, two-factor authentication is a vital way to protect your accounts. We love the 2FA app Authy because it lets you sync your account across multiple devices, but it gets extra points for supporting Touch ID. Open Authy and tap Settings on the main screen. Choose Security on the resulting menu. 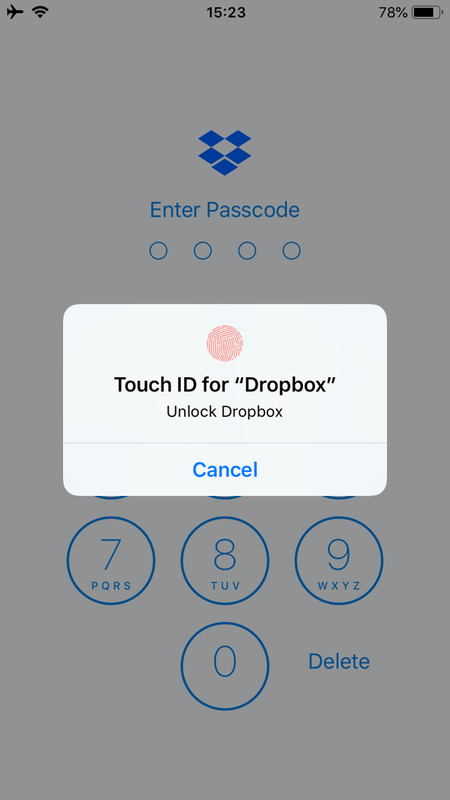 Here, you’ll need to enable App Protection and choose a four-digit PIN like with Dropbox. 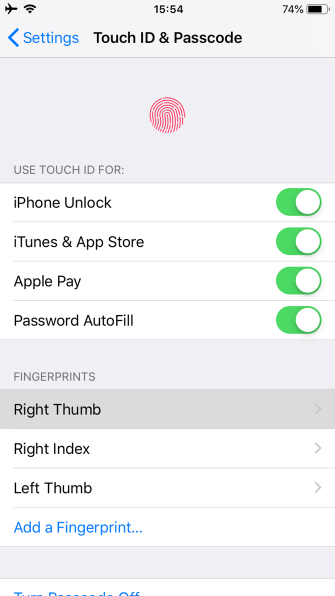 Once you’ve done that, simply enable the Touch ID Protection slider to allow fingerprint login. 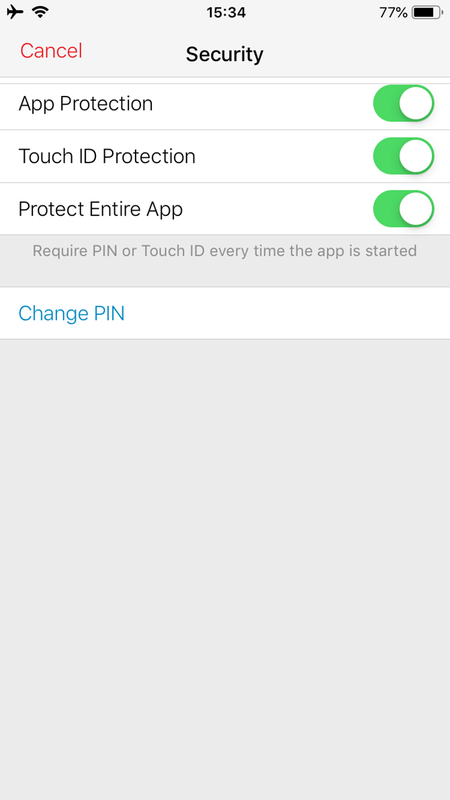 If you turn on Protect Entire App, you’ll need to scan every time you open the app. Most of Apple’s built-in apps don’t offer Touch ID/Face ID protection. Notes is the exception; it lets you lock individual notes for extra security. Create a new note or open an existing one. 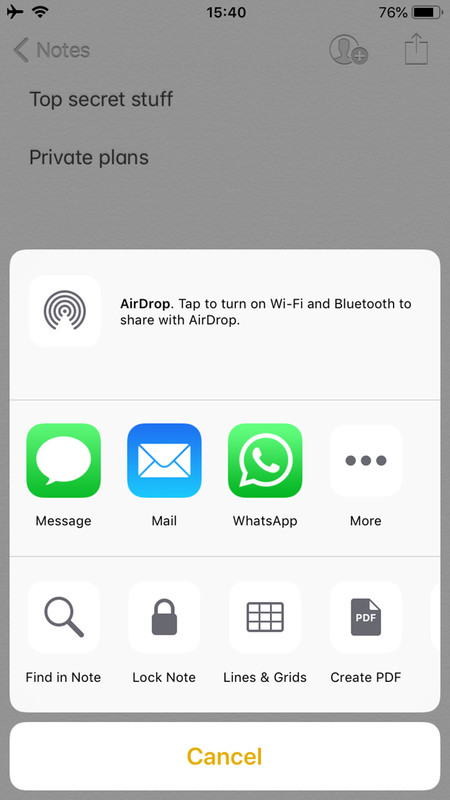 To lock it, tap the Share button in the top-right corner of the page. On the share sheet, select Lock Note. You’ll then need to set a password (with an optional hint). 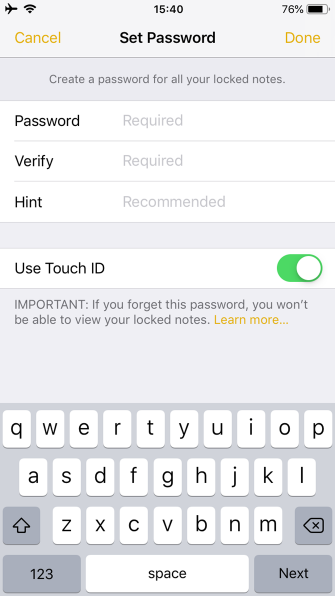 Make sure you keep the Use Touch ID slider on so your fingerprint will unlock the note. 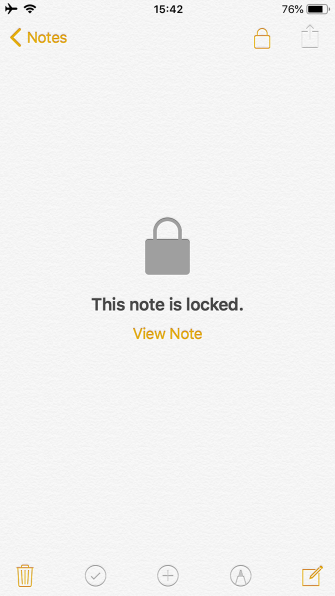 Meanwhile, take a look at other hidden Apple Notes features too. Tired of entering your Apple ID password every time you make a purchase on the App Store? You can protect your downloads with your fingerprint instead. You’ll need to do this even when downloading free apps, but it only takes a moment to scan. 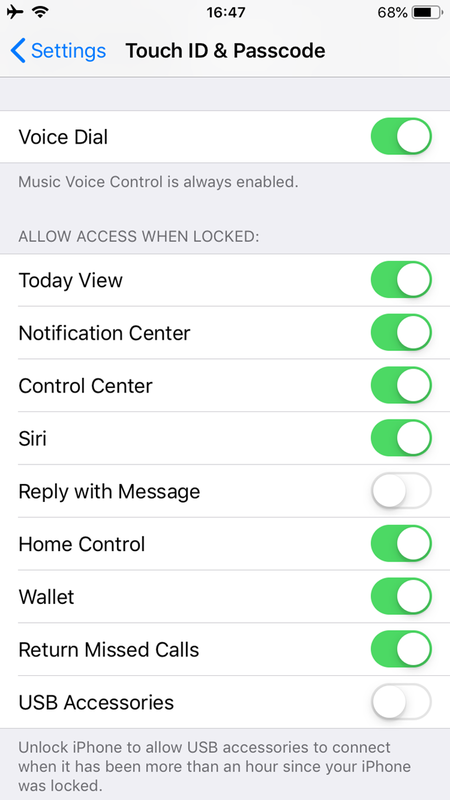 To make sure this is enabled, visit Settings > Touch (Face) ID & Passcode. Confirm your passcode, then enable the iTunes & App Store slider on the following screen. Since financial info is obviously quite sensitive, you’ll want to add a layer of protection if you have the PayPal app on your phone. 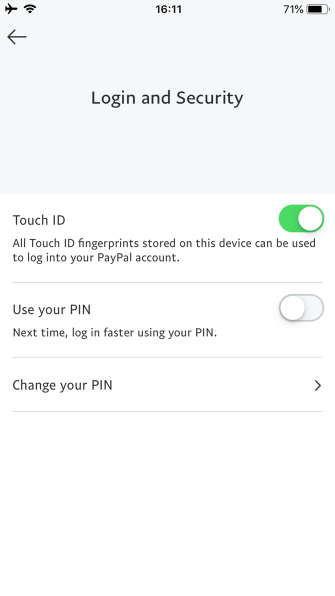 When you set up the PayPal app for the first time, it will prompt you to enable Touch ID. To add this later, sign in and tap the Settings gear at the top-right. 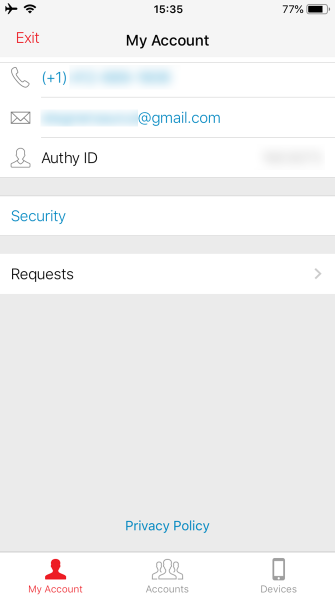 Scroll down and open the Login and Security section, and enable Touch ID. You can also set a PIN here. Many banking and other financial apps support Touch ID, such as Chase Mobile and Discover Mobile. However, it’s not feasible to cover them all here, as support varies greatly by bank. 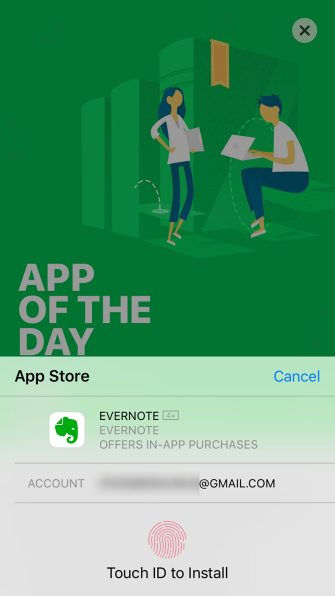 Take a look at your bank or credit card company’s apps to see if they offer this feature. Amazon’s app keeps you logged in once you’ve set it up, but will require you to confirm your password when you try to access sensitive areas of your account. If you’d rather, you can use Touch/Face ID for this instead. You’ll find it in a different location than the above apps, however. Visit Settings and scroll down to Amazon in your list of apps. 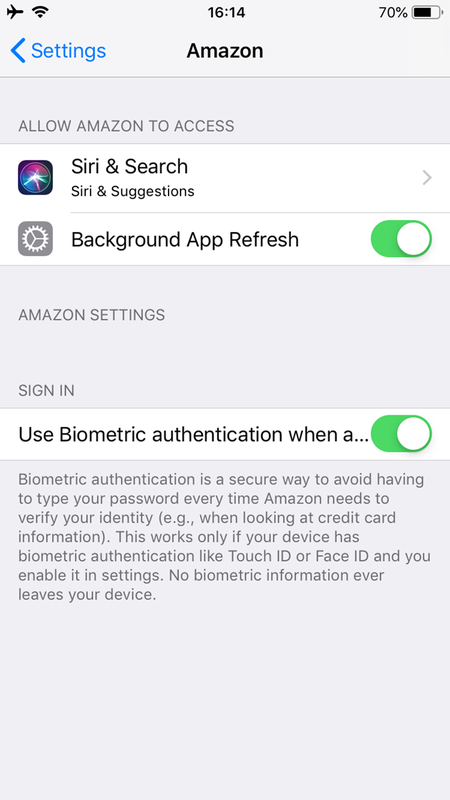 On its settings page, enable the Use biometric authentication slider. There’s another easily overlooked aspect of improving your iPhone security. By default, your widgets in the Today view are accessible to anyone by swiping over on the home screen. These widgets can potentially reveal sensitive information, even if you’ve secured the apps as above. To delete a widget from Today and thus prevent it from showing on the lock screen, swipe right until you access Today. At the bottom of the list, tap Edit and simply hit the red Delete button next to any widgets you want to remove. If you’d rather remove access to this feature entirely, go to Settings > Touch (Face) ID & Passcode. Confirm your passcode, then scroll down and disable Today View along with anything you don’t want accessible from the lock screen. We’ve taken a look at several apps you can lock with Touch ID or Face ID on your iPhone. Doing so lets you exact better control over your most sensitive apps and even add some convenience for yourself in the process. 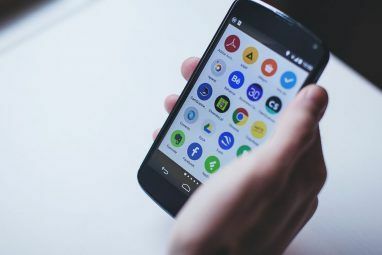 If you were worried about using any of these apps on your phone, hopefully this feature helps alleviate your concern. 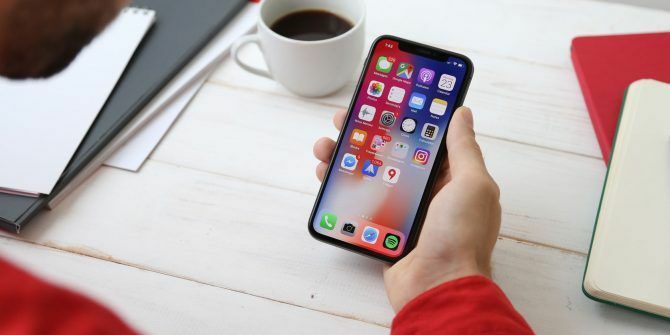 For more, check out essential iPhone security tips you must know iPhone Security Secrets: 8 Apps and Settings You Must Know iPhone Security Secrets: 8 Apps and Settings You Must Know iPhone security is a big deal. 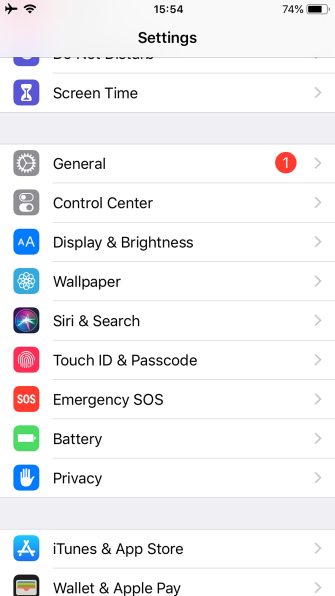 Here are the most important iPhone security settings you should know to keep your device safe. Read More . Explore more about: Face Recognition, iPhone Tips, Smartphone Security, Touch ID. I really would like that every iOS app had the option to be locked.